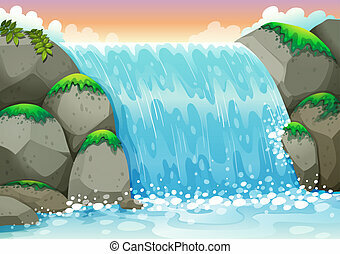 Flowing waterfall. 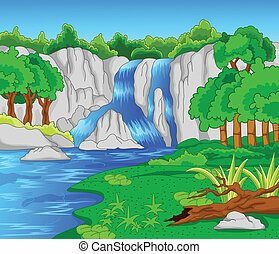 A cartoon waterfall on a fresh, bright day. 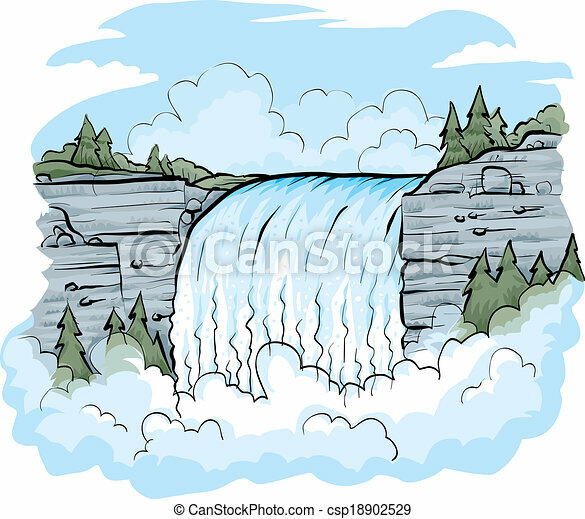 A cartoon waterfall on a fresh, bright day. 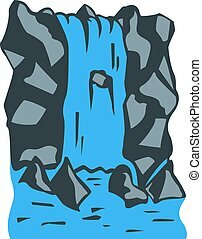 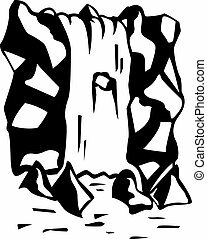 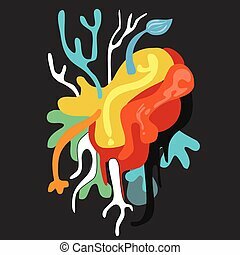 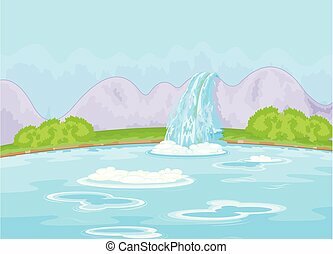 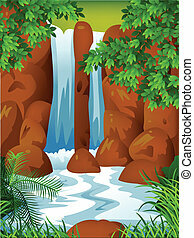 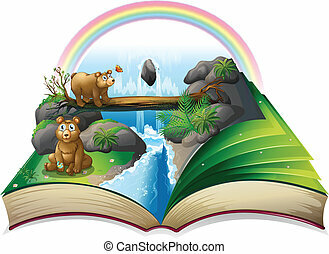 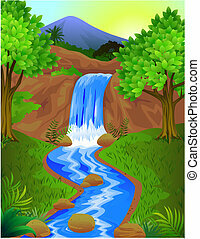 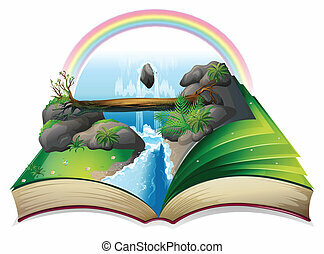 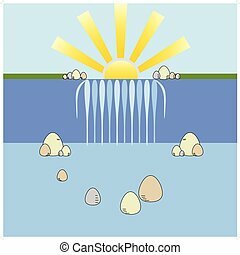 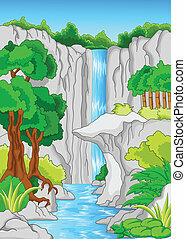 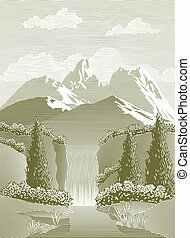 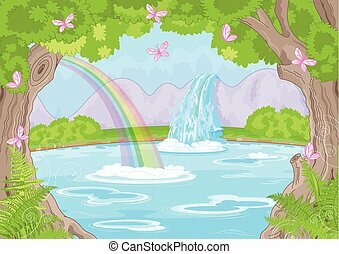 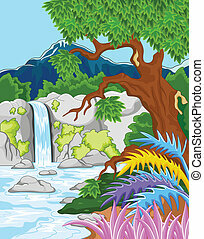 Cartoon style waterfall background with sun landscape and stones vector illustration isolated on white background.